This year I wanted to make a Christmas hoop for my yard. Hooper Bonnie MacDougall posted a picture of hers in her front yard in North Carolina and I just thought it was the coolest!! Well, intentions are always good, right? I made hoops and I put lights out in my backyard for the first time ever but the two didn’t mingle. 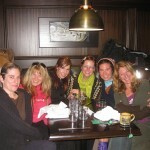 Maybe I can find Bonnie’s picture and post it on the blog for some hoopy joy and inspiration to others. I teach hoopdance classes in a ballroom near my home and right now there is a giant Christmas tree filling one corner of the room. I love it!!! It has such a festive glow. I feel like my students are dancing around a Winter Solstice tree. I’m a sucker for the lights this time of year. I don’t need the gifts or the pressures, just the lights. OK, bear with me for a couple more episodes. I’ve got the microphone figured out NOW but not before I recorded this interview with my friend, Jennaluna. She and I go waaaaaay back, the early 90s I think. 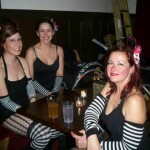 I played bass in a band called Gravy back in those days and one of my bandmates taught at her high school. 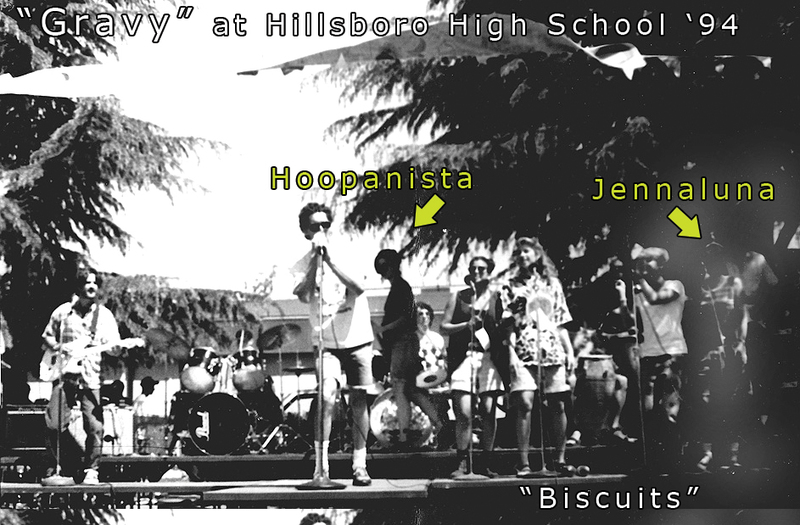 She sang backup as one of the “Biscuits” (get it???) during our outdoor performance at the end of the school year. 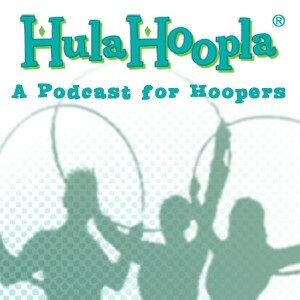 As I got into hooping, I heard names of these mythical hoopers like Hoopalicious and Spiral and Safire but didn’t know their real names. One of my favorites names was Jennaluna but I had no idea who this person was. And during the same time, my friend (Gravy bandmate) kept mentioning that one of his students had really gotten into hooping down in L.A. and San Francisco. Hmmmm. I never put it together. Then one day, out of the blue, a little email came my way via Twitter from Jennaluna!!! We connect the dots, made plans to have breakfast together (she moved back to Portland) to meet face-to-face and have been friends ever since. Happy hoopy ending! 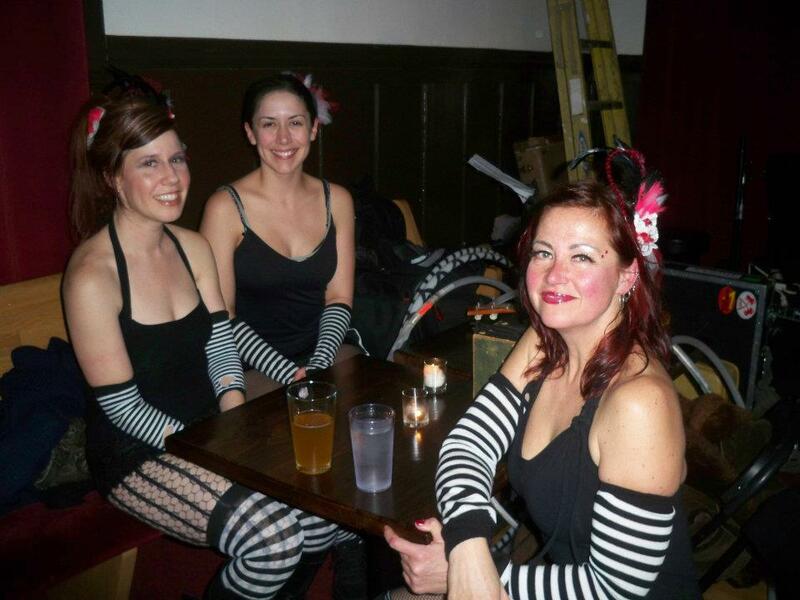 And don’t forget to support local businesses this time of year – that includes your community hoopers! Buy hoops and t-shirts and other hoop-related goodies to spread the hoop love this holiday season. HulaHoopla Hoops for the Holidays! 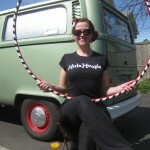 And don’t forget the HulaHoopla shirts! 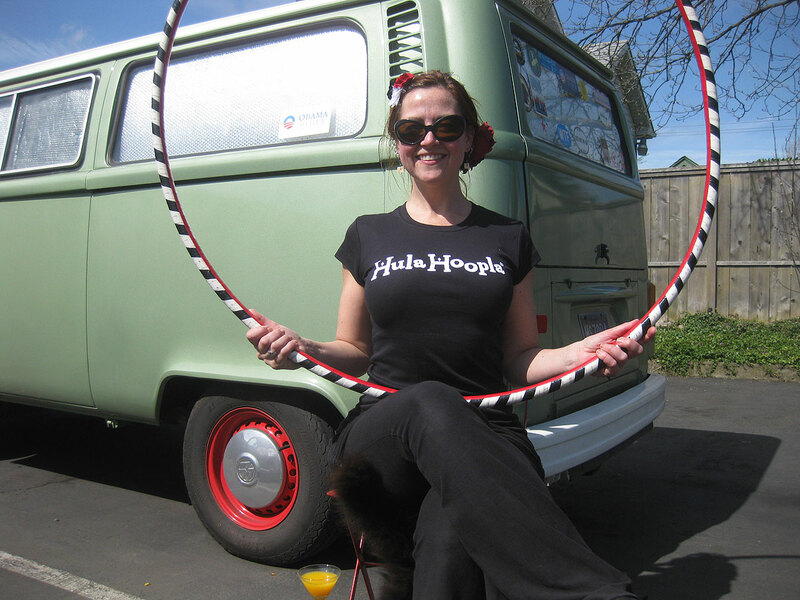 Episode 3 – Meet My Hoop Mama, Merilieu! 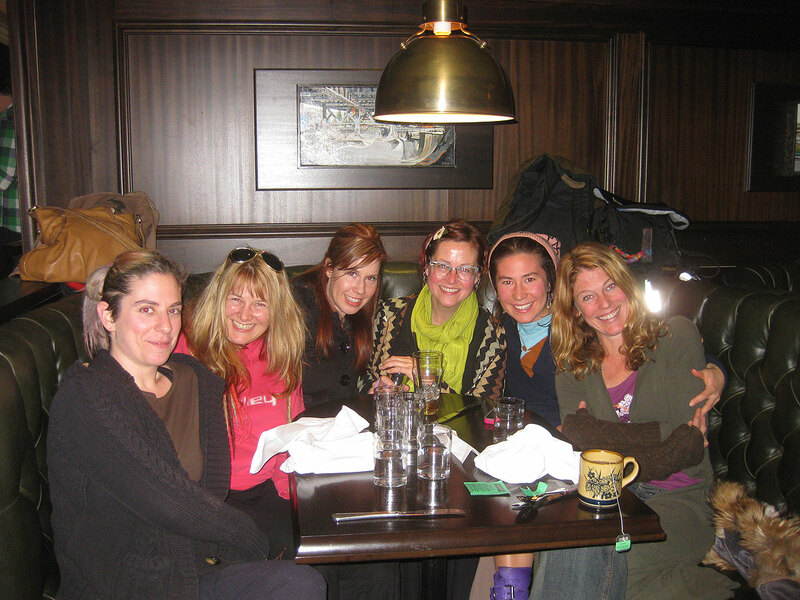 Zipped up to Seattle on Black Friday to spend some quality time with friends over the holiday weekend. Checked out the EMP’s exhibit on Nirvana. I spent a lot of time driving to Seattle during that era in the late 80s and early 90s and went to hundreds of shows both in Seattle and Portland. For me, it was really moving to see the old photos and band posters mentioning places and dates of shows I had attended. Amazing time in my life. And now I’m smack dab in the middle of another amazing time in my life – my hooping life! In this episode, I sit down with my original hooping mentor – my hoop mama, if you will – Merilieu. This woman is the reason I started hooping. 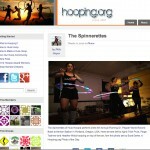 She talks about her first hooping experience and where the hoop has taken her. From picking up the hoop for the first time to making hoops, creating playlists for hoop jams, performing at Burning Man and bringing the Hooping Life to Seattle are just a few of the topics we cover.